The Heartland Regional Investment Fund (HRIF) provides financing to projects in distressed communities through the federal New Markets Tax Credits program. 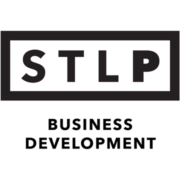 Heartland is a Certified Development Entity (CDE) that seeks to reverse decline in the greater St. Louis metropolitan area’s most distressed communities. Therefore, this is done by leveraging neighborhood redevelopment and rebuilding its industrial base. While the fund serves St. Charles and St. Louis County in Missouri, it is also available to Bond, Clinton, Madison and St. Clair counties in Illinois.